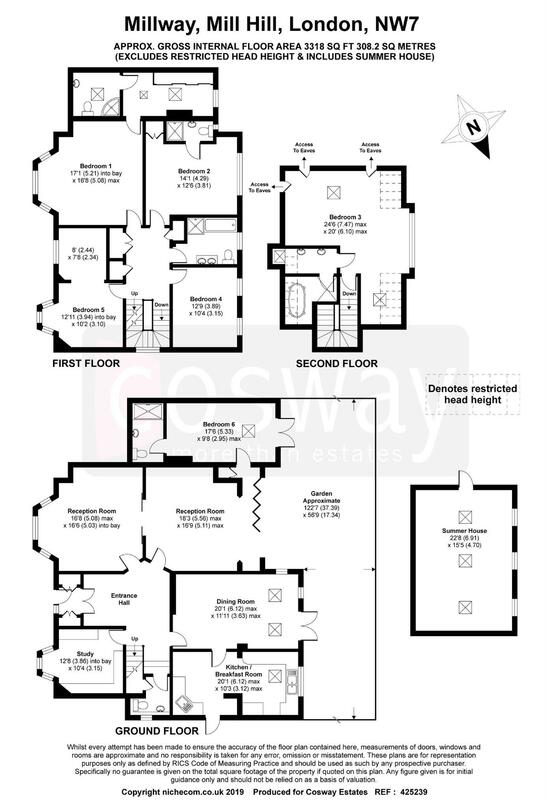 Cosway Estates are delighted to offer for sale this well presented 3300 sq ft double fronted detached family home set on a wide plot on one of Mill Hill's most premier tree-lined roads. Arranged over Three floors and boasting 6 bedrooms 5 bathrooms, fully fitted kitchen, Four Reception Rooms, Utility Room & Guest Wc. Externally there is a landscaped west facing 100' rear Garden, large fully heated separate annex, off street parking for several cars via carriage driveway. Further benefits include, walking distance to Mill Hill Broadway, excellent transport links and catchment of local schools and potential for development stpp.